1. I am at my goal weight and have maintenance it for over 5 months! 2. I can have a starring contest with a box of cheez its and not give in because I now know they are not actually REAL food and will not benefit my body in any way. After 3 weeks my body started craving the healthy snacks instead. 3. I can stare down a glass of wine and then enjoy it because I am in the beyond part of the program! 5. I have improved my cooking skills and actually enjoy it now because of the quick easy and yummy recipes I was provided along with grocery lists. Many of these recipes have become staples in our house hold! 6. I have learned how much what I eat effects how I feel. 7. Energy Energy Energy! I have so much more energy and sleep much better. No sugar or caffeine crashes, so no afternoon lull. I get home from work and want to exercise, walk the dog or 8. clean the house! Instead of plopping on the couch like I use too. 8. It helped me successfully kick my Dunkins habit! I can count how many coffees I have had this year on my fingers! 9. No more toxic fat! You know that stubborn belly chub that no matter what you do never wants to leave? Cleansing my body in a safe way has finally done it for me! 80% of your physical appearance has to do with diet! Can’t out run your fork! 10. It introduced me to my new best friend. My protein shakes! Won’t start my day any other way! 11. 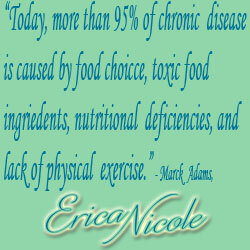 It has taught me so much about clean eating and nutrition that it is now a lifestyle for me. Even more then that I can now share this amazing program with others to help them change their lives, feel the best they have felt in years, and reach their goals! To learn more: Check this out! Pingback: Getting Healthy after Pregnancy!